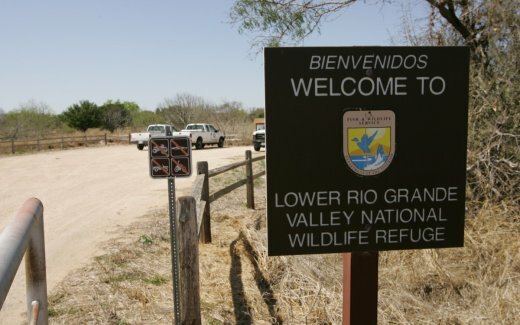 Running along the Rio Grande river – the border between Mexican and the United States – the Lower Rio Grande Wildlife Refuge is an important biodiversity haven for many insects, animals and native plants. Much of the land used to be used to grow crops or graze livestock but has become severely degraded over the years. 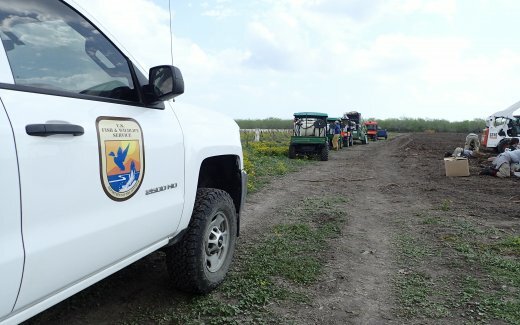 The US Fish and Wildlife Service (USFWS) has taken large areas of degraded land under its protection and is working to restore these for the benefit of wildlife and the enjoyment of the thousands of annual visitors to the area. 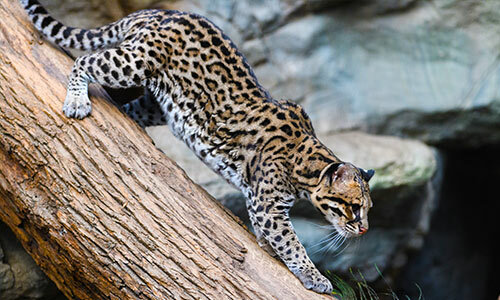 The biodiversity of the wildlife refuge is huge, adding up to 1,200 species of native plants, 700 species of vertebrates (including nearly 500 bird species), and 300 species of butterflies and the rarely spotted but beautiful wildcat the ocelot. The refuge is designated as part of the Great Texas Coastal Birding Trail, a network of wildlife viewing sites throughout the Texas coastal regions. 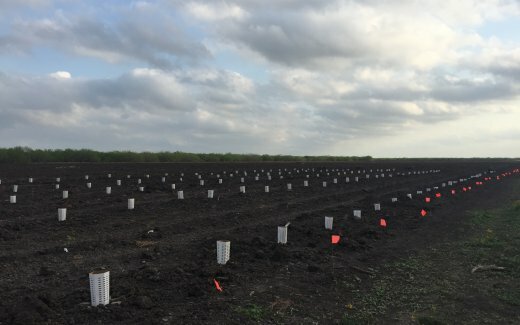 Land Life is working closely with the USFWS to reforest more than 100 hectares of degraded land in the Refuge in 2018, with our technology-based approach. In the past as few as 6% of the trees planted survived due to the harsh conditions, we hope to raise that outcome to 75% or higher. Using a combination of drone and satellite technologies we can map out a planting approach specific to the conditions and raise seedlings that will be able to withstand the dry summers and low precipitation. Wildlife in the Lower Rio Grande Wildlife Refuge include the rare ocelot wildcat, northern caracara, Mexican blue wing butterfly (Myscelia ethusa), great kiskadee, red-billed pigeon, Altamira oriole, ringed kingfisher and green jay.